You have put a website on the web and hired SEO experts to keep the site always on the top of the search engine rankings. Your website must rank higher on the search result. But that alone is not enough to do business on the web. Once your potential customers click on your website link, it is important that the page they reach to is an impressive landing page. If the page design has relevant information in simple language, eye-catching visuals and a perfectly designed CTA button, your chances of converting them into buyers of your products or services go higher. Landing page is a standalone web page that a website has for a specific objective. Unlike other web pages, a landing page design usually has no distracting navigational links to tie it to other pages of your website. This is because you would like your visitors to focus on your intended conversion goal only. Landing pages are created mostly to persuade the visitors to take an intended action. Ecommerce websites use these pages to describe a product or service to help visitors make a purchasing decision. This means that success of your landing page in converting the visitors into customers will depend on how simple, useful and striking the page design is. You may be getting thousands of visitors to your website and still you are not making enough money. A reason for this could be that your landing page design is faulty due to bad design content, page load speed, message etc. 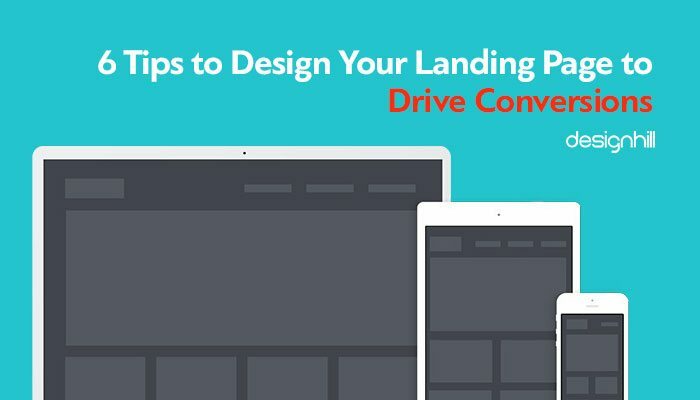 Here are some tips to create your landing page design to convert visitors into buyers. Your landing page should be designed for your target audience. You must know about your audience or target customers by researching about their economic and social backgrounds. This helps in adding specific elements of colors, fonts etc to reflect expectations and ambitions of your audience. You must also find out the best way to communicate your brand message on the landing page. Research and know those keywords that will motivate them to take a buying decision or any other intended action such as subscribing to your newsletter. Put yourself in place of the users to see what is turning you away from the page and make the necessary improvements. A landing page must be a simple design. There should never be too many design elements cramped in the page. Such a page will only distract the visitors from focusing on an intended action. When visitors come to your landing page, they must get your message instantly whether its website or the social media landing page. Therefore, pay attention to the written content on the web page. It should be in a simple language. Make sure that the web page content is written in a conversational tone. People fear that their personal and financial details may not be secure at a site that is new to them. So, make sure that your landing page has this assurance clearly spelled out to your audience. People look for a legitimate offer on the web. Your landing page, therefore, must inform them that your business and website is legitimate. You can do this by including your contact information such as phone number, email, physical address of your venture and if possible its map and other details. You can also add some reviews of your products or services and business on your landing page. This will help in boosting your visitors’ confidence in your business. Your visitors will immediately leave your page if its design looks cheap. 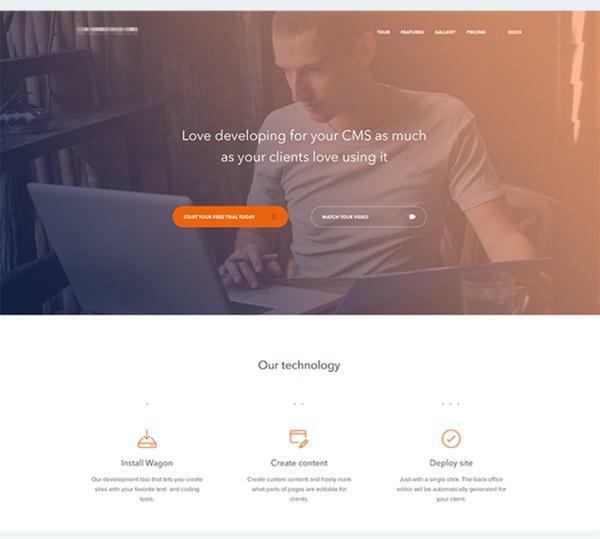 Many website owners use free templates as a way to have low cost landing page designs but these pages do not impress visitors. Your intention should be to make a good first impression on the visitors when they land on the page. Free templates only help in creating run of the mill pages that do not covert much. So, hire professional website page designers and programmers who understand how to use landing pages that compel visitors to take a desired action. 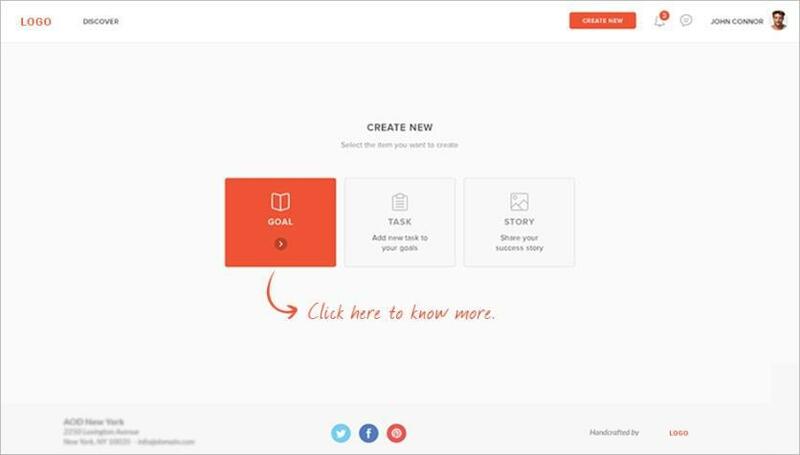 The landing page will look more impressive and effective if it has relevant visuals. Pick the visuals that convey a message about your company and its business. Make sure that the images you use on the page are consistent with your brand message. Every visual used in your landing page must have a purpose. 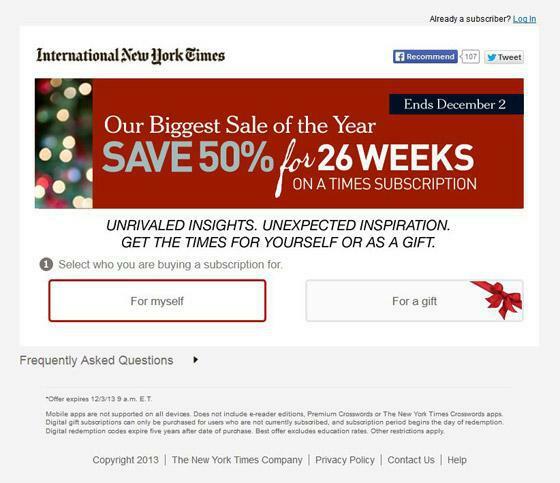 The call-to-action button on your landing page matters a lot. The CTA must convey your message in aesthetical and functional way. You should test various colors, fonts, shapes and sizes, etc to pick right combination of these elements to create a compelling CTA design. These tips may seem obvious but they are important. Many companies simply ignore their landing page design and pay the price by losing customers on daily basis to their competitors. If you find that despite having thousands of visitors, you are not getting the business from the site, think of redesigning your landing page. If you find redesigning or creating a new landing page expensive, then you can always explore the option of crowdsourcing the page design job to platforms like Designhill, where many talented designers will work simultaneously and you get a professionally created page at an affordable low price. Previous Previous post: How Does a Professional Logo Design Determine the Visibility of Your Brand?